Dereham, Norfolk. Viewed facing north towards Fakenham and Wells. 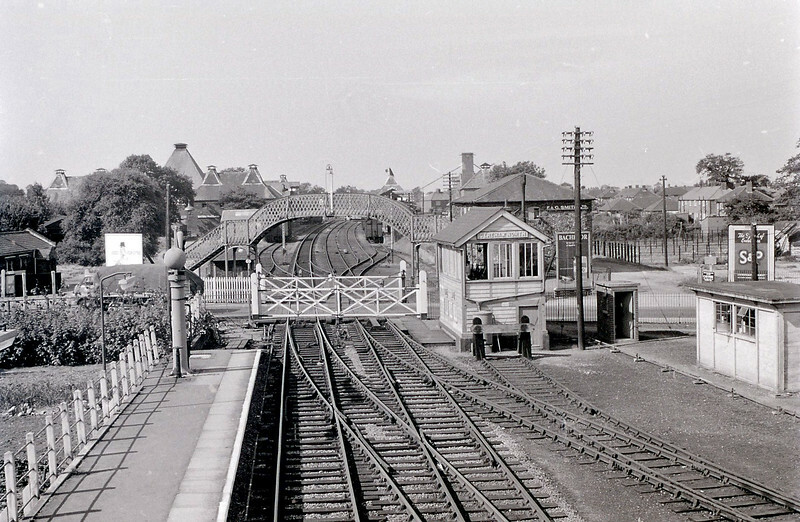 Photo taken from the footbridge showing the Dereham North signal box and the A47 road crossing. Photographer and date unknown. Would appear to be in steam days.